​What music do you play? AC/DC, Arcade Fire, Arctic Monkeys, The Beatles, Blur, Blondie, Beastie Boys, Chemical Brothers, The Clash, The Cure, Daft Punk, David Bowie, Doves, Elbow, Elton John, En Vogue, Florence & The Machine, Foo Fighters, Foals, Franz Ferdinand, Gorillaz, Guns 'n' Roses, Green Day, Happy Mondays, The Housemartins, Ian Brown, Iggy Pop, The Jam, Jimi Hendrix, Kate Bush, Kasabian, The Killers, Lady Gaga, The Libertines, LCD Soundsystem, Muse, Madonna, MGMT, Michael Jackson, New Order, Nirvana, Oasis, Prince, Paul McCartney, Pulp, Queen, Queens of the Stone Age, Ramones, Razorlight, Rolling Stones, The Smiths, The Strokes, The Stone Roses, Stevie Wonder, Tame Impala, Taylor Swift, Talking Heads, U2, The Undertones, The Vaccines, Vampire Weekend, Van Morrison, The Verve, White Stripes, Yeah Yeah Yeahs. I'm based in Salford and cover Greater Manchester, Cheshire, Lancashire, Merseyside and West Yorkshire. If you're further afield, I'm happy to travel but I may have to charge a bit extra to cover my travel expenses - all quotes I provide to you will include this. I also have strong ties to the South West (mainly Plymouth and South Devon) so can also cover this area, depending on availability i.e. if I'm booked on a Friday in Manchester, it's unlikely that I'll be able to commit to a booking in Devon on the Saturday. I work with MP3s using a Numark DJPro controller allowing full control of mixing and cueing, as though each track was cued up on a record deck/CD player. My setup easily blends in to any surrounding, meaning that my presence won't detract from the venue's decoration and my setup time is very quick - usually 20-30 minutes from time of arrival. I also have a light up message box which can be personalised to any event and also helps hide any unsightly cables. What lighting do you provide? My basic set up includes a set of four colour changing, sound activated LED lights (2x PARS, 2 x Derbys) and also incorporates strobe lighting, which is more than adequate for most venues and dancefloors. As a DJ, my priority is providing you with the music that will make your night memorable and although some DJs offer uplighters, smoke machines and moving head lighting, a lot of couples I deal with are happy to let the music do the talking, instead of having their venue look like it's on the strip in Magaluf. From country hotels to tipis, a lot of work goes into getting a venue's mood and decoration right without the need for over the top disco lights and many venues and venue dressers also provide lighting in their packages, meaning that many other DJs packages in lighting that is surplus to requirement. That said, if you want any additional lighting I'm happy to help you source this as I have a number of suppliers who deal with all kinds of dancefloor accessories. And if you don't require lighting, then I may be able to offer a discount on my rate as it's less for me to set up - in my opinion and experience too many wedding DJs use their lights and giant "LOVE" letters as a selling point (and often charge a higher fee to cover their storage and insurance costs) when they really should be concentrating on keeping the music they play unique. Of course! Before every event, I set up a private Facebook group for my clients and their guests to request songs prior to the big night. I can't promise to play everything because some stuff won't go with the atmosphere and there's a limit to how many songs I can play (although I'd happily play all night if the venues let me!) but it's my job to curate a playlist that seemlessly flows between genres and keeps the floor full. 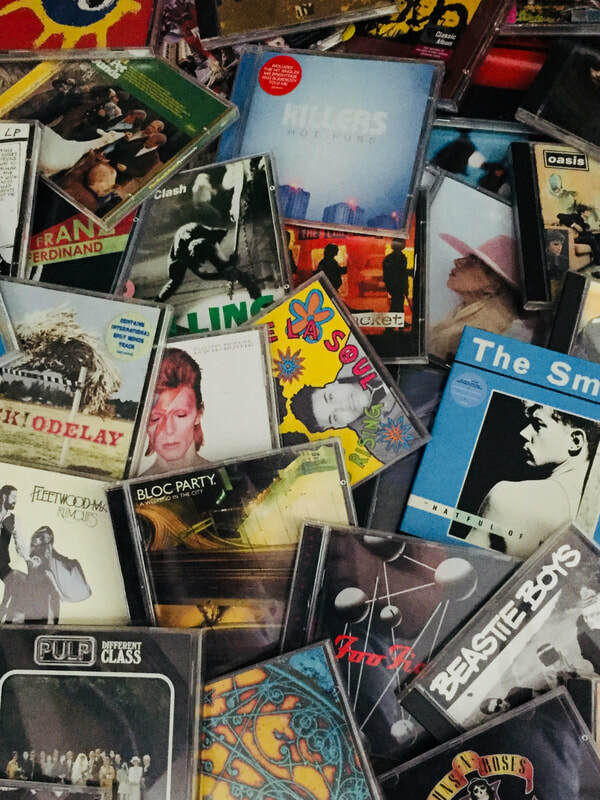 As I work with MP3s, not only do I have a Produb licence allowing me to legally copy any song from my extensive CD collection to MP3, but I can easily source any songs that I don't already have - all you have to do is ask (I certainly don't need any excuse to add the collection - in fact it's one of the perks of the job!).. In any event I like to meet up with all my clients before any event to go through the finer details (time of first dance, what announcements to make, requests from people who aren't on social media etc) and where possible I'll undertake a full venue recce to ensure that setup is as smooth as possible. ​Do you have any recommendations for our first dance? As with the playlist, this is entirely down to you. Some people choose a slow dance that's personal to them and some people choose a song that goes with a dance routine but, really, it's whatever you're comfortable with. If you don't want all your guests staring at you while you dance, maybe choose something that everyone can dance to. First songs don't always have to be slow either - songs like 'I Bet You Look Good on the Dancefloor' by Arctic Monkeys are great floor fillers and good fun to dance to, providing an excellent opportunity for your photographer to capture the energy. In fact the best first dance I've seen was a couple who jumped around and played air-guitar to AC/DC's ' You Shook Me All Night Long'! Whatever you want, you can be sure that I'll build up to the moment with a blend of tunes to cater for all your guests and I'll follow it up whatever will keep the happy couple dancing together. I'm thinking about doing the music myself to save some money. Do you have any tips? Obviously I'm biased but I don't see any point in scrimping on the main source of entertainment for all of your guests. The average evening do is five hours long, which is a significant portion of the day and one that most guests (and indeed ALL the evening guests) will remember the most, so it needs to be right and is arguably far more important than a lot of elements that add up to the costs of a traditional wedding day (chair covers, anyone?). At an average cost of £12,500 for each wedding in the UK, the hire of a DJ is relatively small (around 2-3%) so it's certainly a good investment.